One of the most challenging things to get right when opening a new bar is your ordering procedures. Once you’ve been open for business for an extended period of time, you’ll have a sense of what your customers typically order, making it easier to ensure you have the right amount of every product on-hand at all times. But it can be difficult to know this information before your bar is open for business. The key to gathering this data as quickly as possible is to use a sophisticated liquor inventory system that tracks the performance of every item sold at your bar. This will help you determine how fast you are running through each product, and most of these inventory systems will give you alerts which tell you when it’s time to reorder. 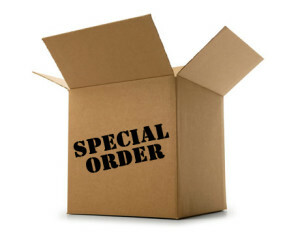 The following tips will help you as you begin to work through your initial ordering procedures. Bar-i can provide you with even more detailed information during a complimentary consultation. Who are your typical customers going to be and what are their tastes? These types of questions should help you narrow down the focus of your drink menu. Regardless of the types of drinks you plan to feature at your bar, we recommend setting hard guidelines for your product selection to simplify your ordering process and improve your buying leverage. This can be easy to accomplish for beer products since you’ll have a finite number of taps and limited space in your beer coolers. However, it can become more challenging to limit your product list for liquor and wine. 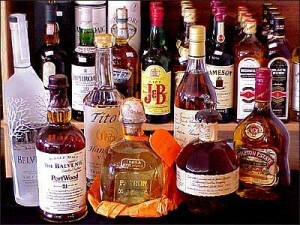 In general, we recommend that you set the maximum number of liquor products sold at your bar at 150. It’s crucial that you establish pars. Otherwise, you will most likely end up over-ordering most of your products. When you over-order, you end up with excess product sitting around your bar and this will cut into your profit margin. In general, we recommend that you aim for a target goal of keeping at most four times the weekly usage on-hand at all times. The key to maintaining this goal is to calculate your liquor cost as accurately as possible so that you know exactly how much you should be spending on the products you order. For example, if you sell $20,000 in products every week and your liquor cost is 20%, you spend $4,000 a week on the products you sell to your customers. In this situation, you shouldn’t ever have more than $16,000 of products on-hand at any given time, and it’s likely that you can get away with a supply that is closer to $12,000. When you work with Bar-i, this information will be provided in your weekly reports. Bar-i has an ordering system which is based on our liquor inventory software tracking what your bar is using and calculating how much is left. This makes it easy to know when you need to reorder a product and how much you should order at a time. To take advantage of a free consultation on your ordering procedures or to find out how our bar inventory system can help you streamline your processes and maximize profits, please contact Bar-i today. We serve bars nationwide from our offices in Denver, Colorado.